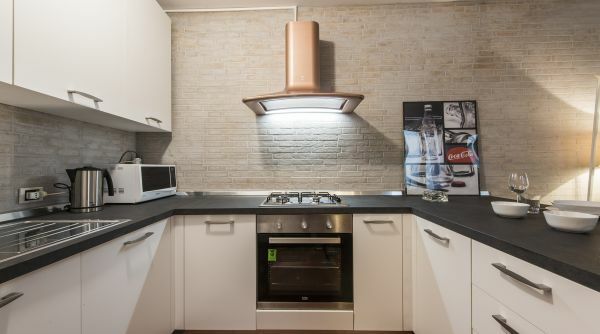 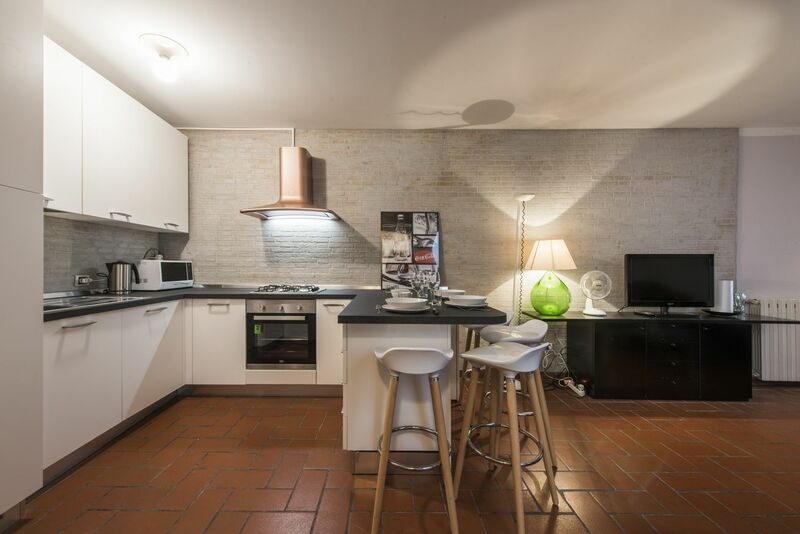 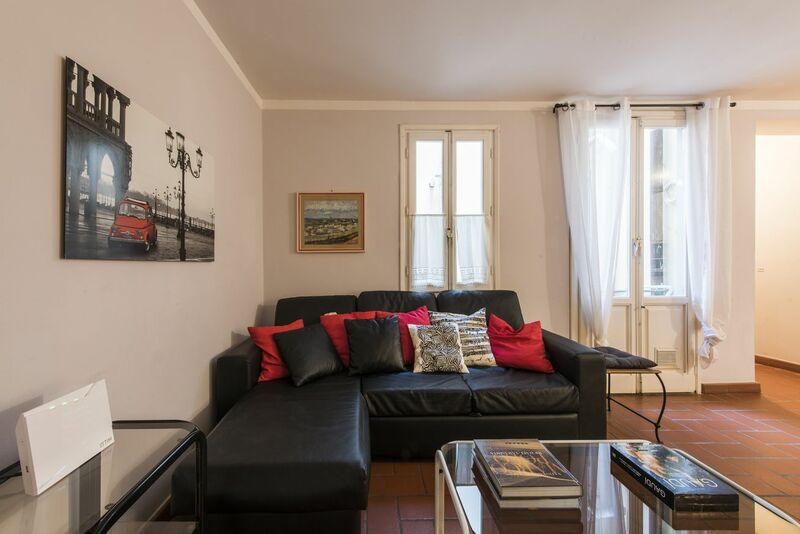 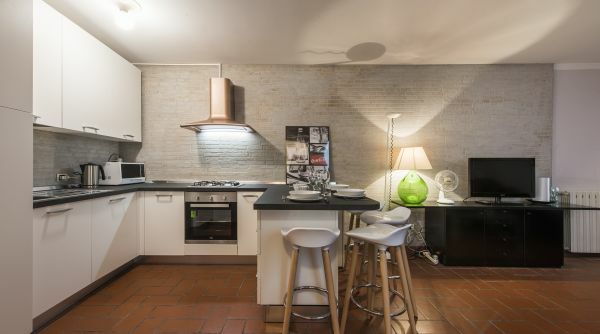 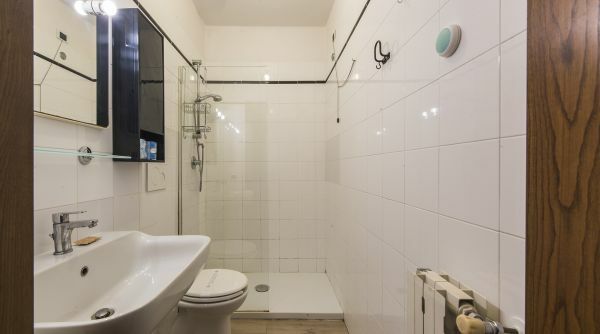 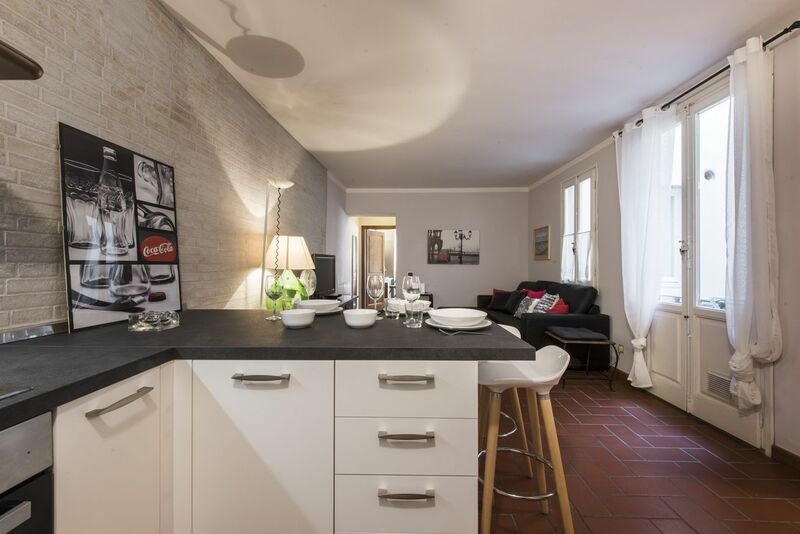 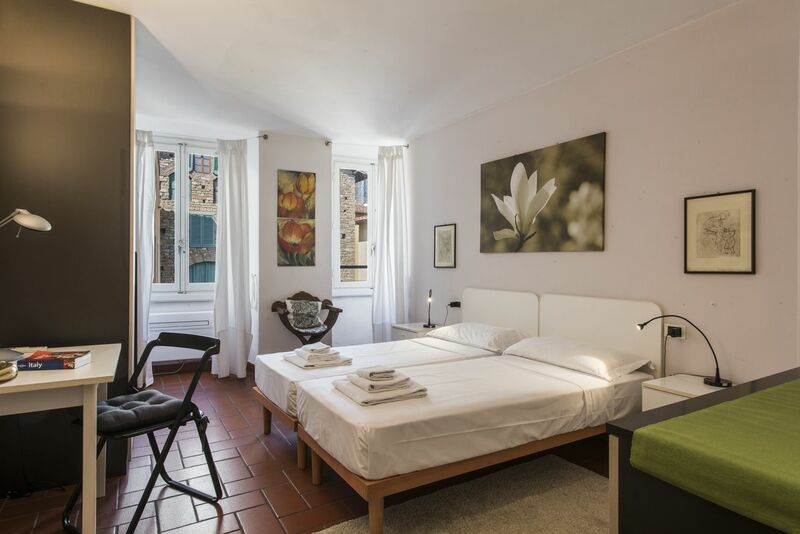 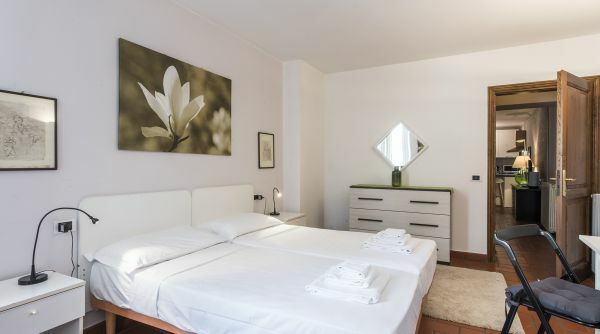 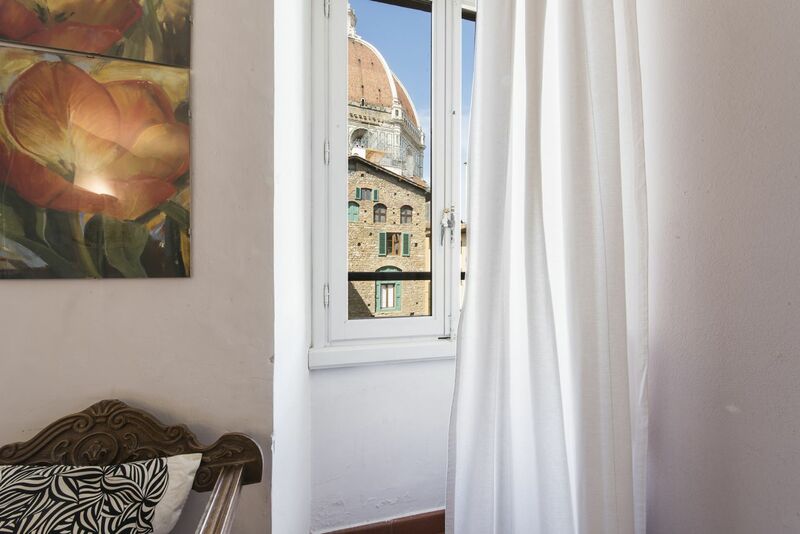 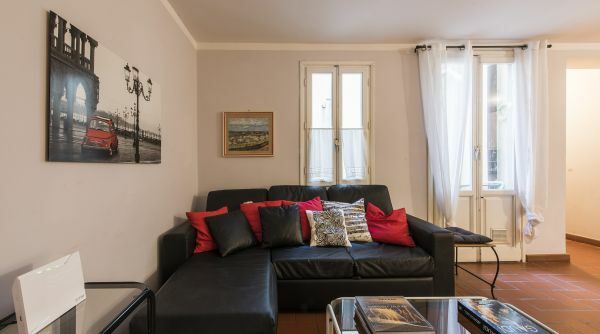 Welcoming and central 1-bedroom, 1-bathroom holiday rental with beautiful views of the Duomo. 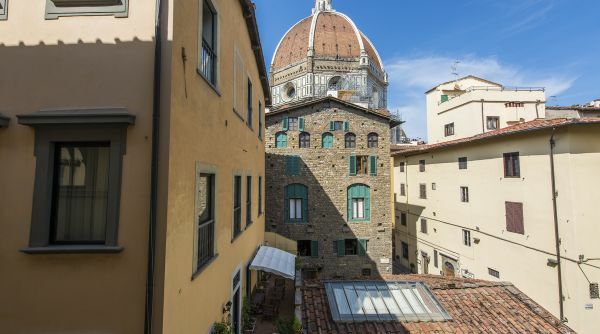 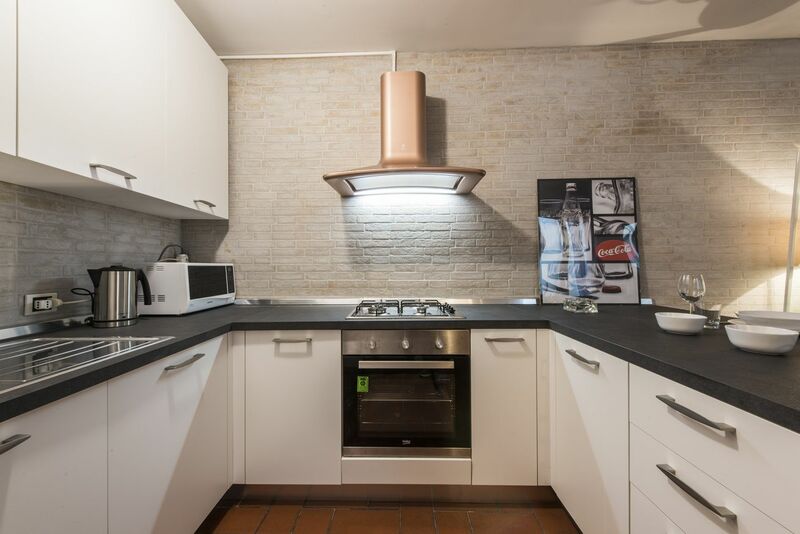 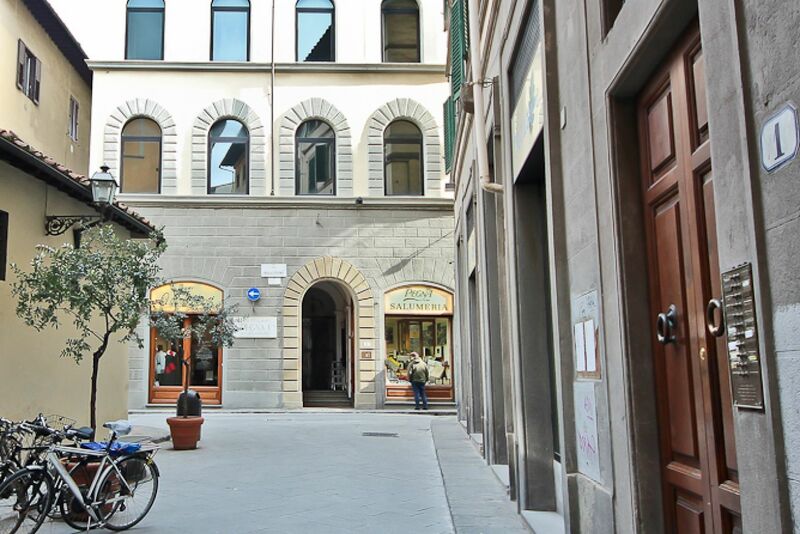 The apartment is located on the second floor of a lovely and secure Florentine building with elevator, on Via del Oche, a well located, pleasant and lively street, surrounded by charming shops and gourmet salumerie, just steps away from Piazza Duomo. 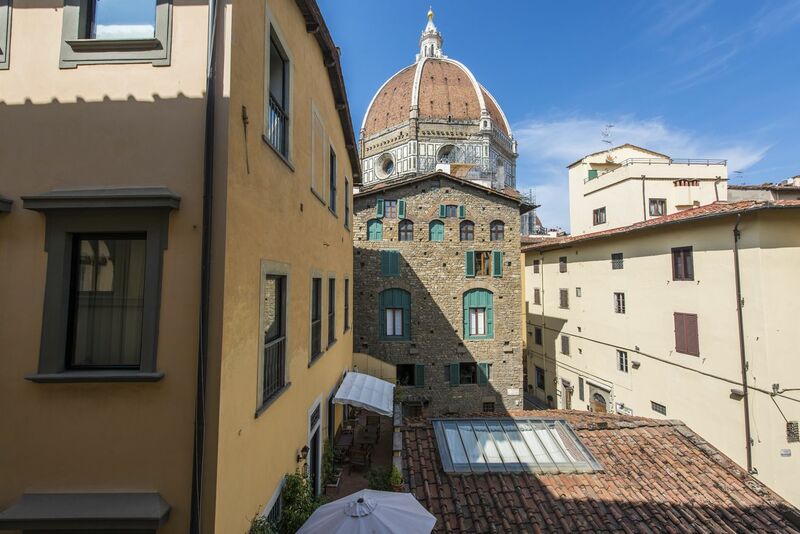 A charming neighborhood in the heart of a storybook city. 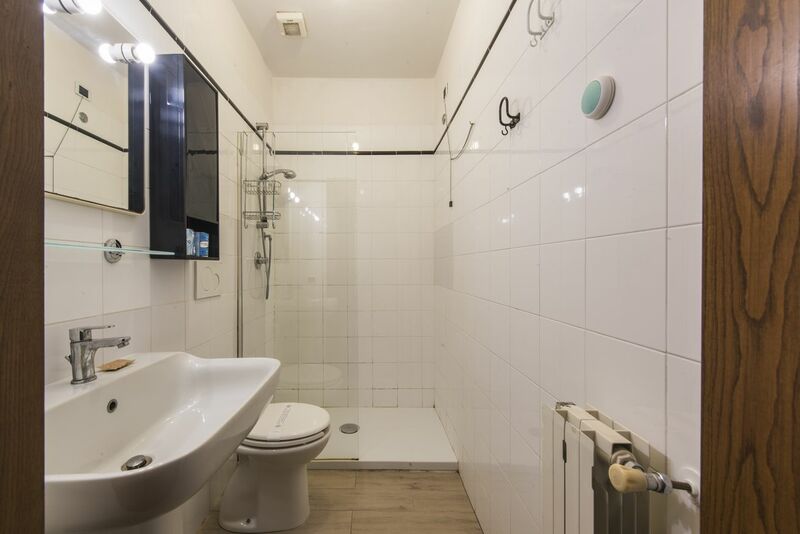 This apartment can accommodate up to 4 people with one bedroom, a living area with sofa bed, one full bathroom, and laundry facilities. 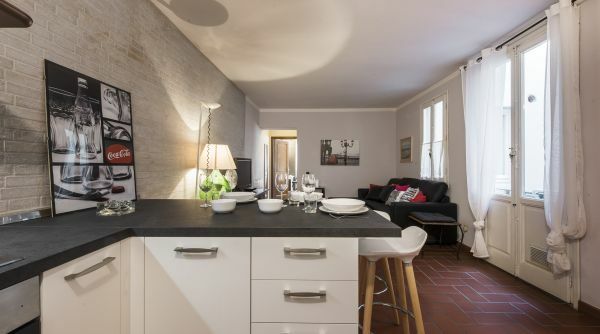 The spacious living area and fully equipped kitchen are furnished in a simple but functional style, allowing ample space to enjoy the comforts of the home. 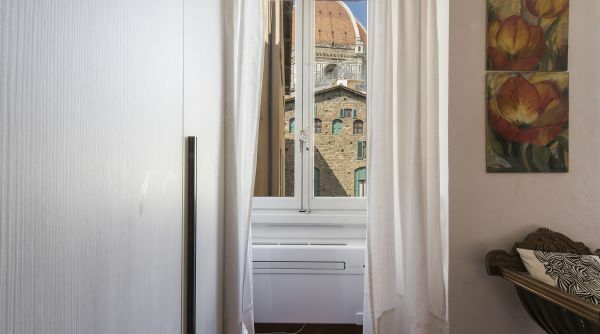 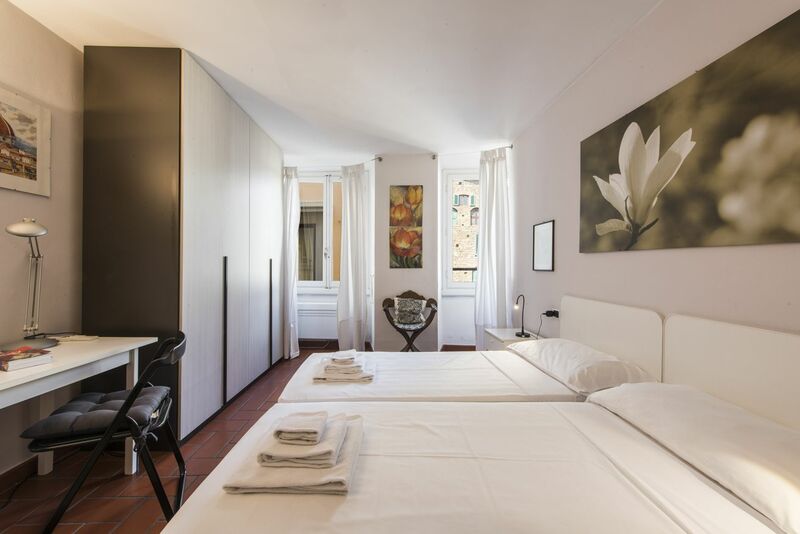 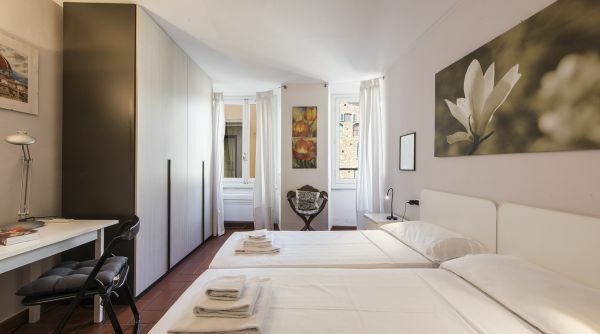 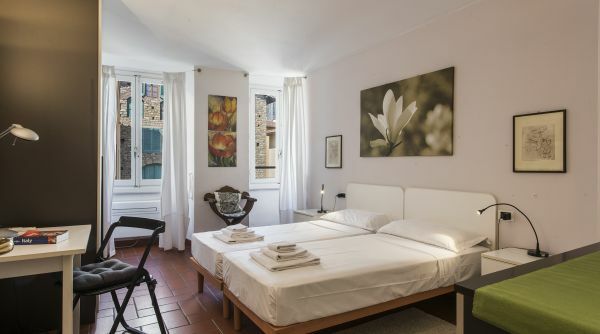 The bright and tranquil bedroom, with a king bed (that can be separated into 2 singles) offers magical views of the Duomo, a delightful scene to wake up to everyday. 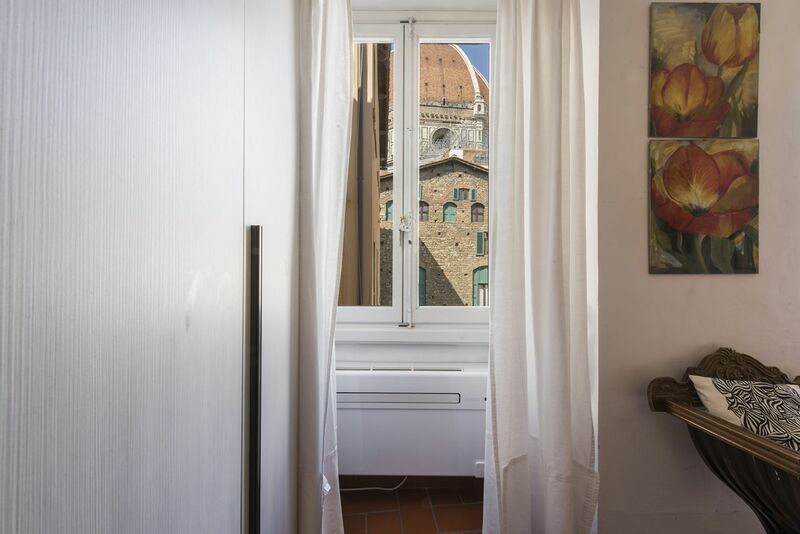 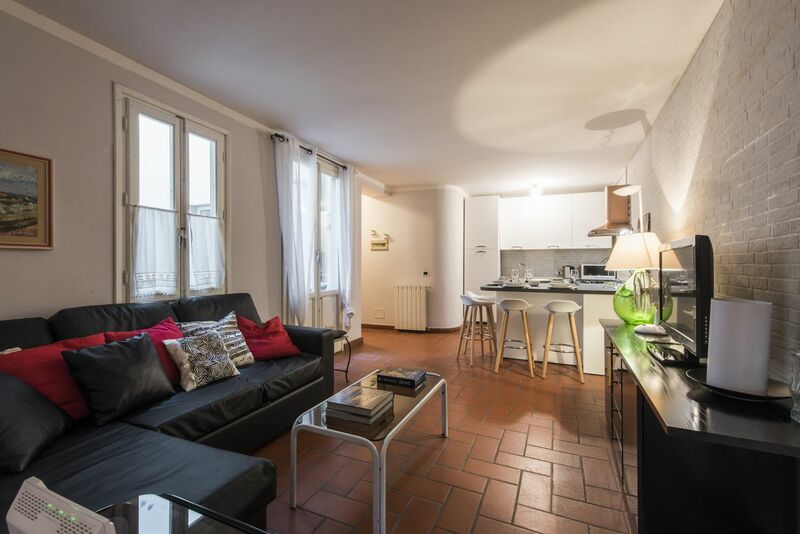 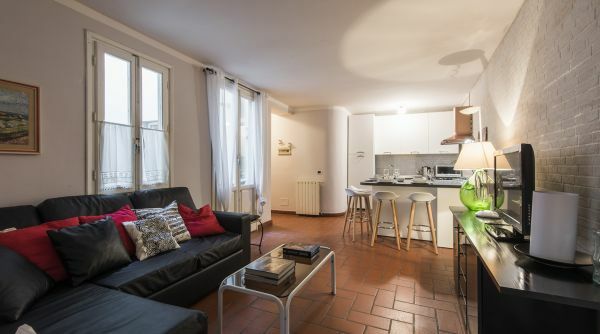 This pleasant rental is ideal for those who wish to live in the heart of Florence’s most notable attractions, exploring the city easily by foot. 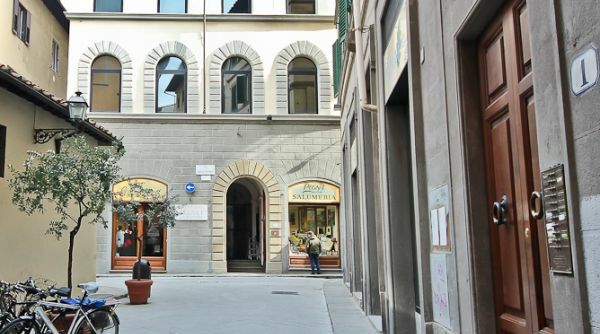 Note that there are about 15/20 steps before arriving to the elevator.